The Houston Texans are planning on announcing Deshaun Watson as their starting quarterback for their Thursday game. 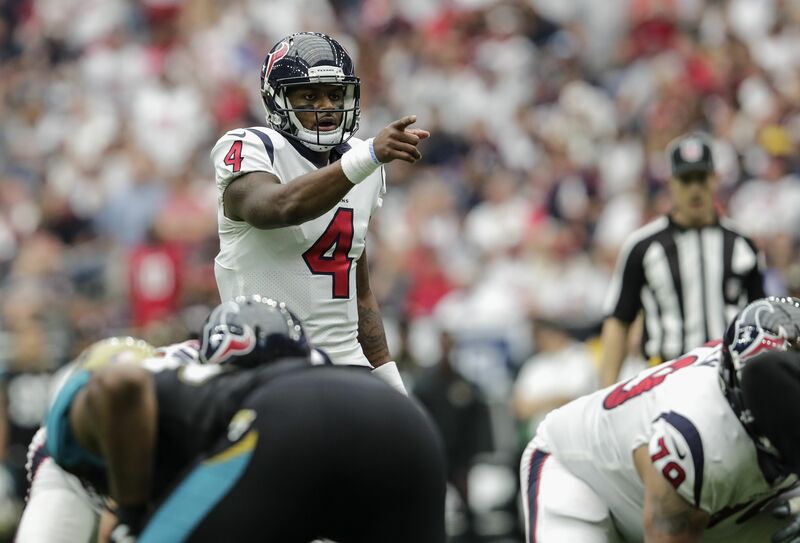 Rookie quarterback Deshaun Watson will make his first career start Thursday for the Houston Texans against the Cincinnati Bengals. Ian Rapoport of NFL Network reported on Twitter that, even without an official announcement yet, a decision has been made. This follows up on a tweet from Rapoport earlier in the day that said if Watson’s injured ankle was good to go, he would be named the starter. The former national champion at Clemson took over for the ineffective Tom Savage in Houston’s first game. The Texans did not do much with either under center. Their offensive line did not help matters either, allowing 10 sacks, three of which resulted in quarterback fumbles. Speaking of offensive lines, Watson will have to stand behind that line with an apparent ankle injury. He suffered the injury sometime during the game but did not miss any snaps. Houston will try to rebound from their abysmal performance against divisional foes, the Jacksonville Jaguars. Watson will also be without one key weapon. Tight end C.J. Fiedorowicz will be sidelined with a concussion that is expected to keep him out multiple weeks. Luckily for Houston they will be going up against a team that looked as bad as they did on Sunday, the Cincinnati Bengals — the only team this weekend to get shut out. The young rookie will make his first career start on his 22nd birthday. Quite a gift for the quarterback of the future in Houston. The Texans should be able to rebound against Cincinnati’s weak offensive line and attack Andy Dalton on defense. The key will be keeping Watson upright. If the ankle injury limits his mobility, Houston could be in for a long game. Houston on a short week faces a tough test. The quarterback play may not have been their biggest problem last week, but the team is hoping it’s the solution on Thursday.